The European Commission asked the Bulgarian government to suspend work on Gazprom’s South Stream gas pipeline, pending a decision on its conforming with EU law, it was announced today (3 June). But the Bulgarian Socialist Party, which is the senior partner in the country’s minority government, was quick to reply that its construction will continue as planned. The Commission has opened an infringement procedure against Bulgaria, and has asked the country’s authorities halt the building of South Stream, it announced today. “We don’t block South Stream, but we want the project to be in line with EU law,” said Sabine Berger, spokesperson for energy commissioner Günther Oettinger. Her colleague Antoine Colombani said on behalf of internal market commissioner Michel Barnier that the Bulgarian authorities had been informed by letter and explained the of breach to EU legislation on public contracts. 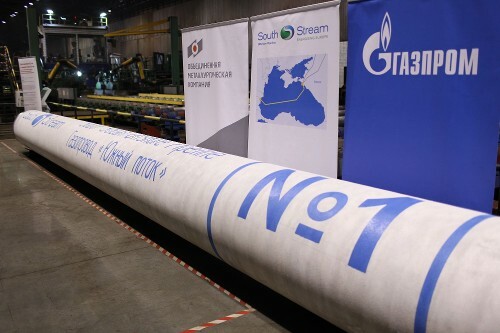 On 27 May, Bulgaria awarded the construction of South Stream on its territory to the Russian Stroytransgaz consortium. A major shareholder (63%) in Stroytransgaz is the Volga Group, which is owned by Gennady Timchenko, who was placed on the US’s sanctions list against Russia in mid-March. Timchenko is believed to be the 6th richest man in Russia, according to Forbes, and has close ties to President Vladimir Putin. On the same day when EU leaders held their last summit, Commission President José Manuel Barroso made it clear that the EU executive would impose infringements on Bulgaria regarding South Stream [read more]. Colombani said that it was “urgent to act”, because work on building the pipeline in Bulgaria was about to start. Bulgaria has said it had conducted the South Stream tender according to normal procedures, and that the tender announcement had been published last December. Colombani said, however, that EU internal market rules covering the award of public contracts had not been respected by Bulgaria. “To be more precise, South Stream Bulgaria, which has been set up for this project, has been awarded to design, finance and operate the gas pipeline without the transparent and competitive procedure which is expected in such cases,” he said. A second concern, according to Colombani, was that the intergovernmental agreement between Russia and Bulgaria provides for the possibility for subcontracting part of the works to other firms, “in preference to Russian and Bulgarian bidders without publication in the official journal”. EURACTIV has been reporting since last December that the EU executive had raised these concerns in a letter dated 14 August 2013, which analysed the Bulgaria-Russia agreement in great detail [read more]. However, the Bulgarian authorities have been dismissing such claims. “The position of the Bulgarian Socialist Party is that we must show character and conclude the building of South Stream,” said Dimitar Dabov, a high official of the Bulgarian Socialist Party (BSP). BSP leader Sergei Stanishev is President of the Party of European Socialists (PES). Dabov said that Bulgaria had complied with all the requirements regarding South Stream. “If there is pressure, it’s political pressure”, Dabov said, as quoted by Dnevnik, the EURACTIV partner in Bulgaria. EURACTIV also spoke to Russian Ambassador to the EU, Vladimir Chizhov, who also said that if confirmed, the Commission’s approach “appears to be in line with a highly politicised line towards the South Stream project”. The full text of the interview with Chizhov will be published tomorrow. Last December, the Commission said that all bilateral agreements (IGAs) for the construction of South Stream gas, signed between Russia and Bulgaria, Serbia, Hungary, Greece, Slovenia, Croatia and Austria, are all in breach of EU law and need to be renegotiated from scratch [read more]. EURACTIV has seen a letter sent by the Commission to the Bulgarian authorities, dated 14 August 2013, which analysed the Bulgaria-Russia agreement in great detail. The six-page document, addressed to the Bulgarian deputy energy minister, Evgenia Haritonova, has never been made public, despite pressure by some MPs in the Bulgarian Parliament to disclose it. The IGA stipulates that tariffs for using the pipeline would be established "by the Company", which is in contradiction with the powers of the national regulator to approve transmission tariffs in accordance with EU law. Dnevnik, the EURACTIV partner in Bulgaria: ??? : ?? ??????? ???????? ? ?? ?????? "???? ?????" ??????? ???????? ?